[Ask] No longer curse premium ? What happen to my account? 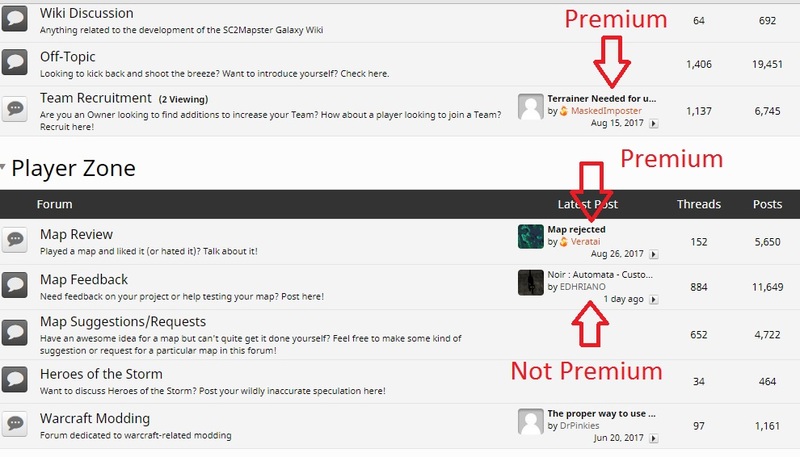 Did all map author automatically become premium? Or perhaps It has expiration date or something ? Does it really matter if you have some orange flame next your name? There are much bigger problems that need to be fixed on this website. But it might be just the tip of the iceburg. Anyway, just though it was necessary to brought it to see the light of day is all. What a lovely comment Deltron. Likely you've fallen under the popularity threshold for too long. Ohhh right ... well ... since my pc broke down nearly two months ago I haven't updated my project. It seems that means I am lo longer qualify as awesome lol. That or you have been spending too much time on discord and not enough time here. Ahh, I think it's 50-50.